It’s just 11 days until the October Investigation, and two weeks til Halloween! Whilst here in Australia Halloween isn’t as great a tradition as it is elsewhere in the world, it’s still a brilliant excuse to come along and prove your bravery in the dark. We’re finally making progress sending out our Paranormal Reports, though if you came along in April we do ask that you please get in touch with us, as we’re struggling with technical difficulties and we do need your contact details again. Check out our gallery of some of our Paranormal Investigation groups so far this year on our new ‘Group Photos’ page. The reason some of these groups look so pink? Because we appropriately used full spectrum cameras to take the photos of course! This first one is taken in the Separate Prison on our May Investigation. At the time it was pouring with rain, and whilst no one actually saw a wet patch on the stairs at the time, our initial thought when we saw the photo was that it must be leaking water from the roof. Later we figured out that whilst the roof had been leaking, it was not in this spot nor anywhere nearby, so this is not a wet patch at all. Which then leaves us wondering – if that’s not water, what is it? Coincidentally this next photo was also taken in the Separate Prison, though this time it was during the April Investigation. The image on the left is a normal photo of C wing corridor. The photo on the right is abnormal, as a shape can clearly be seen blocking the fireplace at the end of the corridor. When we tried to recreate the image, the only way we could come up with a similar picture was to have someone standing about half way along the corridor, though at the time when the photo was taken there was nobody in C Wing. 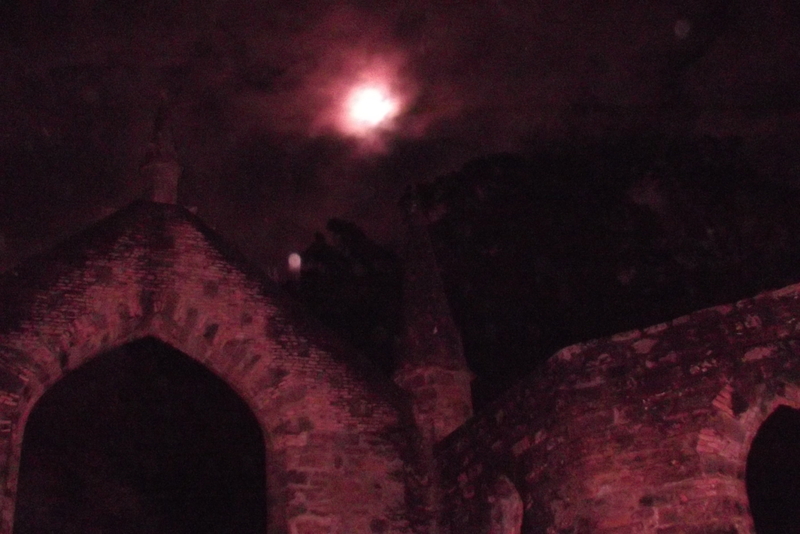 This last picture is nothing spooky, it was taken on the September Investigation as the full moon came up over the Convict Church, and we just think it looks amazing! For those of you who look at this picture and start jumping up and down about the ‘orb’ just above the church wall, I must point out that this particular night it was pouring with rain. Take from that what you may! We’re pretty happy to have these photos. Back before we started investigating we weren’t entirely convinced we were going to get anything at all, so this is definitely progress. If you’d like to come along and try your hand at capturing something like this on camera, head to our bookings page now, the investigation is filling up quickly with only 6 places left for next Saturday. To wrap things up, the last post included a photo sent in to us from our July P.I.E. taken in the Commandant’s House. Since posting that photo we’ve compared it to others and discovered that it’s a common phenomena caused by the light fitting in the hallway. Sadly not paranormal, but you can imagine we found it spooky at the time! This is the nature of investigating honestly. 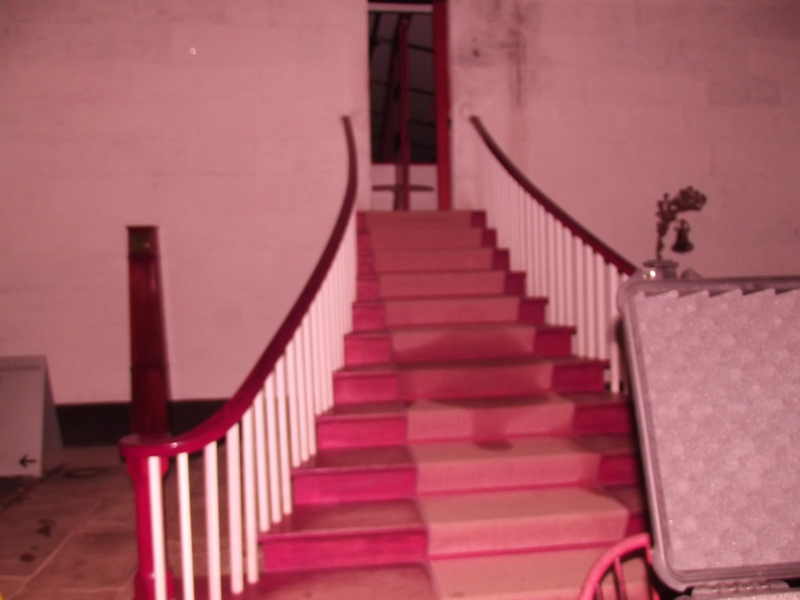 This entry was posted in Updates and tagged anomalies, evidence, ghost, paranormal, paranormal investigation, phenomena, photo by Port Arthur Paranormal Investigation Experience. Bookmark the permalink.